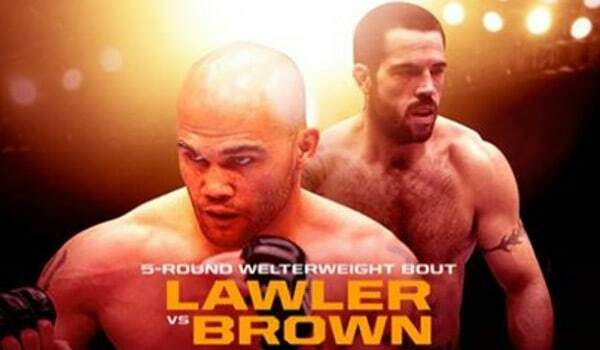 Tomorrow night’s UFC on Fox event will be headlined by Matt Brown vs. Robbie Lawler, even if Matt Brown didn’t make weight. That’s right, during the weigh-ins today Matt Brown was unable to make the 171lbs weight limit and there has been some confusion going down right now about the circumstances. What we do know is that Dana White says it won’t impact the implications of the fight (still a contender’s fight) and that Brown will not be fined for this. Dana says the commission shut down Brown's effort to cut the extra weight. Won't be fined. Dana White tells @ArielHelwani on the weigh-in broadcast that the CSAC will not allow Matt Brown to attempt to weigh-in for a second time. White also tells @ArielHelwani that Brown's inability to make weight will not have an impact on the No. 1 contender status of the fight. Now @Jon_Anik is reporting on the broadcast that CSAC's Andy Foster said it was Brown's decision not to cut the final 1.5 pound. Confusion. This is weird even by UFC’s standards, right? Oh well. Still should be a great fight.